Show your school colors! This price is for 11-19 shirts. Minimum order 11 shirts. Call for color availability. 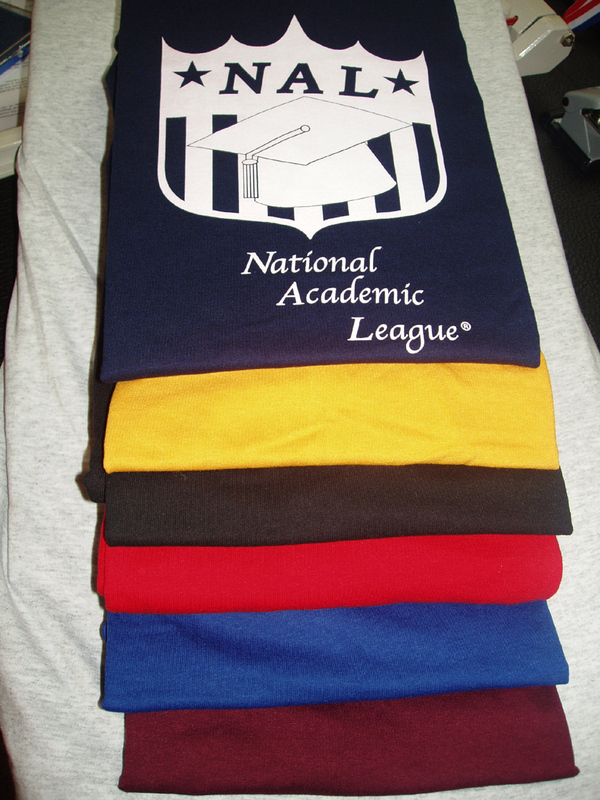 Adult Sizes S-2XL in School Colors. Call or email for colors. Must order 20+ to get this price. Adult 2X add $2.50. Chose your school color! 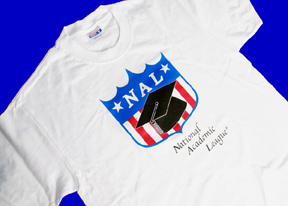 NAL logo. This price is for T-shirt orders 5 - 10 shirts. Minimum Order Is 5 Shirts. Adult sizes 2XL and 3XL add $2.25.